Take a bite of frosted oats and colorful marshmallows with a twist. 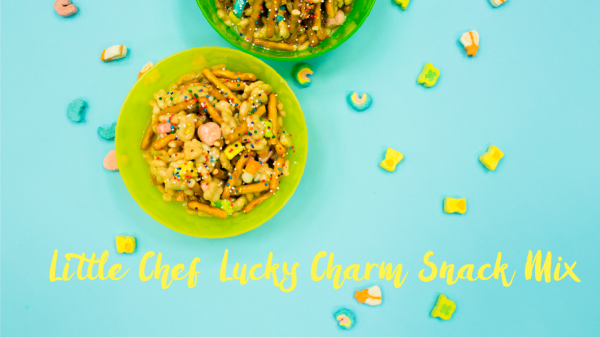 Learn to combine, stir and shape a fun treat that will be magically delicious! Registration required. Recommended for preschoolers. This is a “mommy or daddy & me” event. Adult participation is required. Food will be served at this event, please see staff about specific needs concerning food allergies. The Hiawassee Branch began as a bookmobile station in 1962 and was first known as the Pine Hills Library. In later moves the branch became the West Colonial branch and in March 2000, Hiawassee. In early 2010, the Hiawassee Branch moved to a new home near the corner of Hiawassee Road and West Colonial Drive in the Highland Lakes shopping plaza. Celebrate Earth Day with your little one with nature-friendly stories, crafts and activities. After all, it’s never too early to start learning about protecting our planet! Recommended for toddlers. Learn about Hiawassee Library's resources and the community services provided by the Pine Hills Neighborhood Center for Families. Aprann kijan pou fè resvasyon avyon, machine ak otèl sou entènèt. This class is taught in Haitian Creole. Let augmented reality apps enhance real life experiences. Locate restaurants, design your living room, take measurements and create your own simple augmented reality with an easy to use apps. Improve your English conversational skills, vocabulary, pronunciation, and comprehension by reading a book. Enjoy learning and meeting new people in a supportive environment. Commemorate Memorial Day with stories and rhymes. Take part in an indoor parade to honor our heroes for all they did for our country. Recommended for preschoolers. Create Star Wars® inspired crafts and geek out with rebel relays. Recommended for tweens and teens. Celebrate the history of Star Wars with a look at some vintage props and action figures. If gaming is your thing, come get your game on at the library! Join us for action-packed fun with the hottest video games! Express thankfulness and random acts of kindness in crafts. Bring toddlers and preschoolers for a fun craft session. Explore and learn strategies to jump start your personal journey to becoming debt-free and financially independent. Explore the world of Cross Stitch. Learn the basics of thread, fabric, and pattern reading. Create a cross stitch keychain to take home. Registration Required. Seating is Limited. Join us for coffee as we discuss the May selection Celine by Peter Heller. Newcomers are always welcome. Celebrate Haitian heritage month by learning the most widely spoken creole language in the world! Job seekers are invited to learn about educational opportunities and meet with hiring employers. Resume and Interview Skills classes will be offered before the fair. Classes require registration. Join us as you learn the basics of watercolor painting through the use of watercolor pencils and paint.